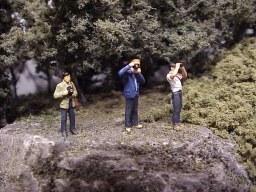 This page and all subsequent pages are best viewed at 1024 x 768 or high resolution. 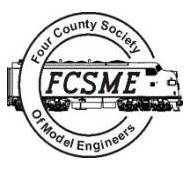 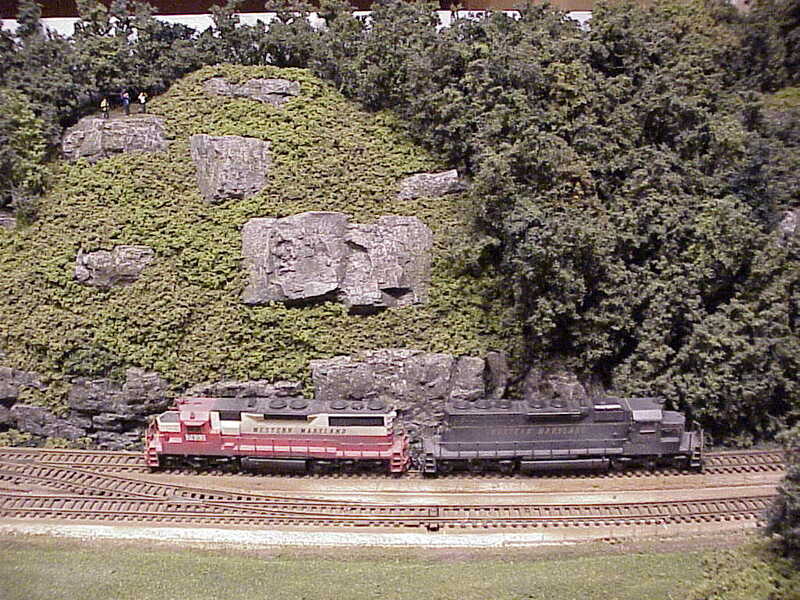 Can you spot the serious railfans? 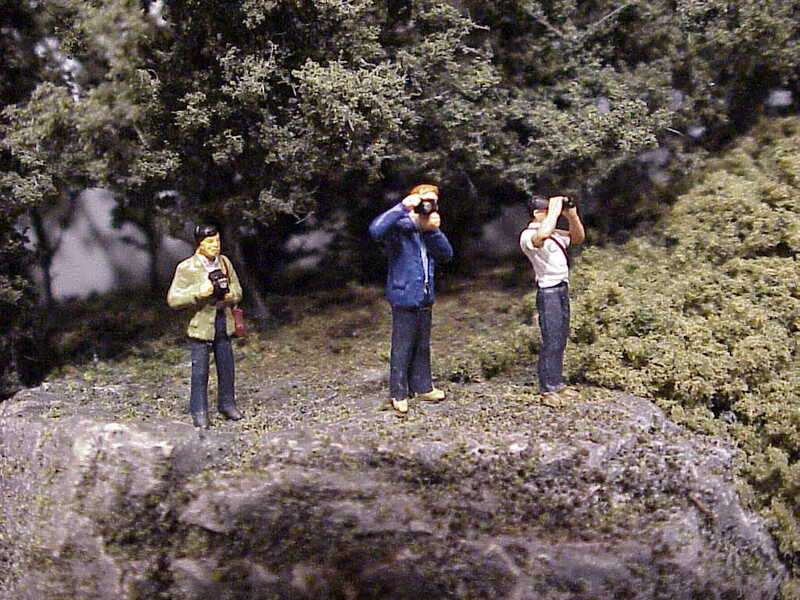 Judging from the trail behind them, this place is frequented often. 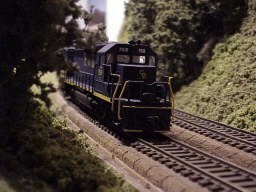 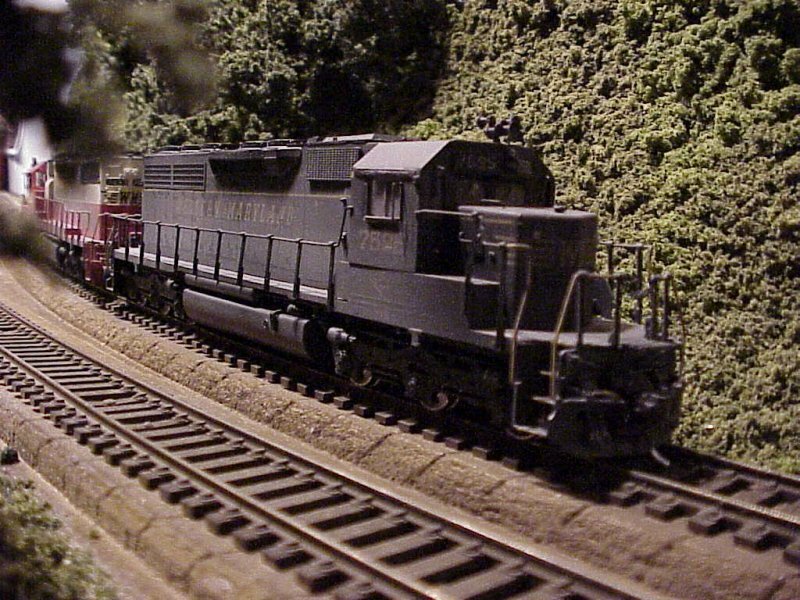 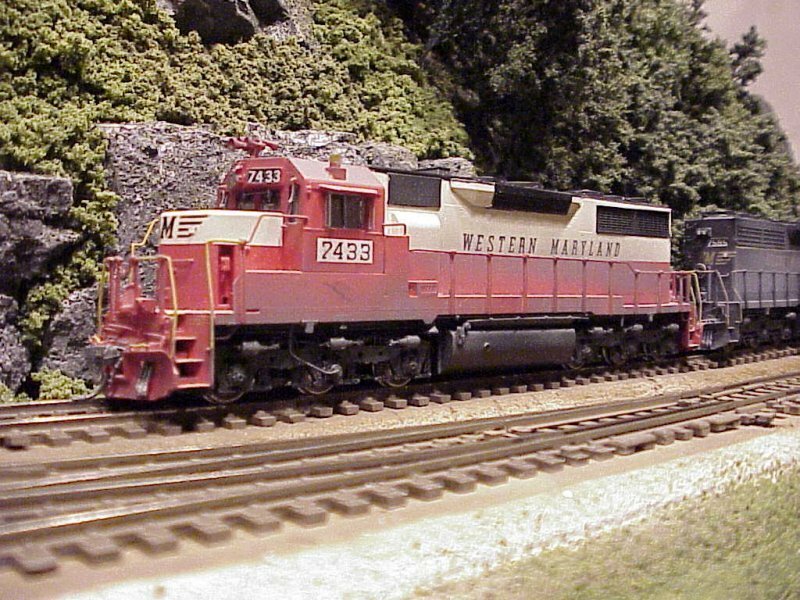 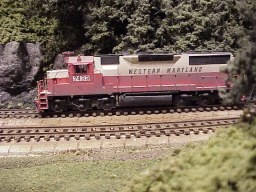 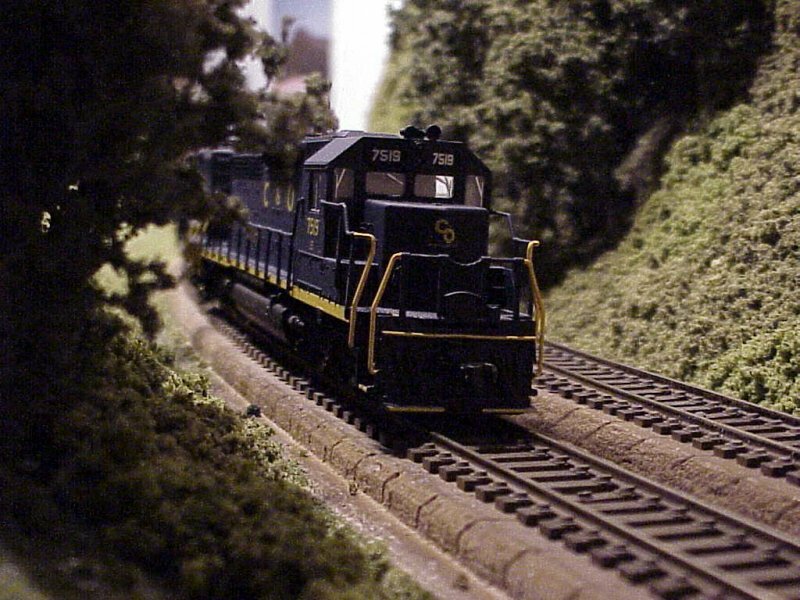 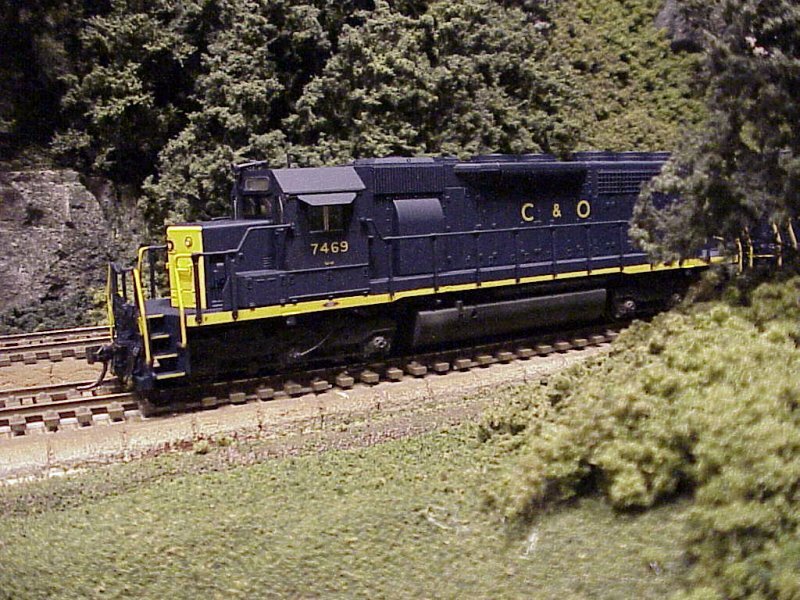 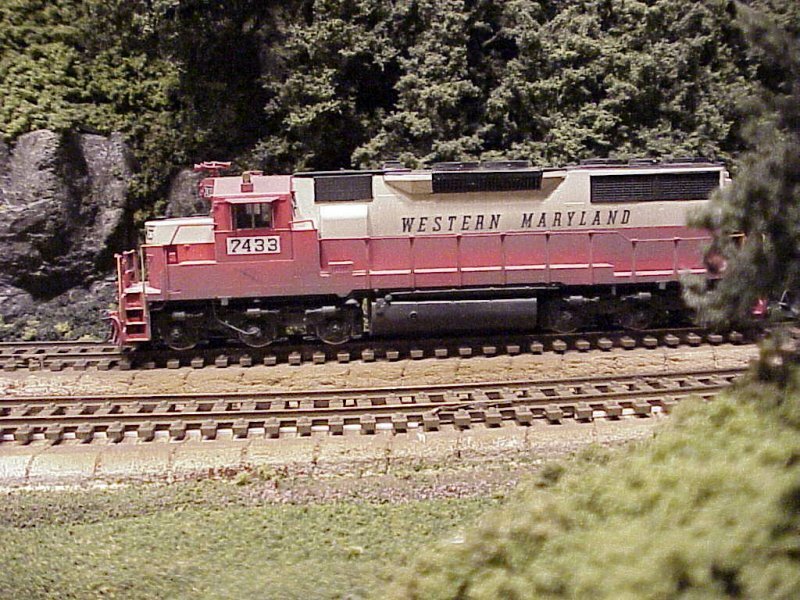 I love the trees and bushes... but I need some ballast! 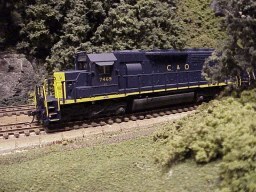 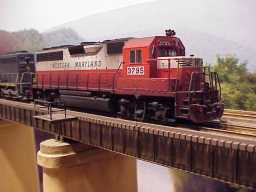 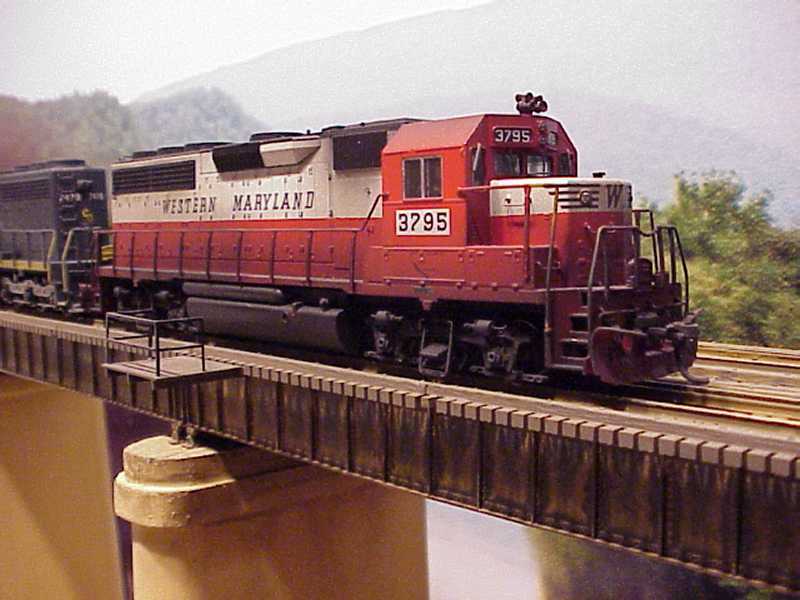 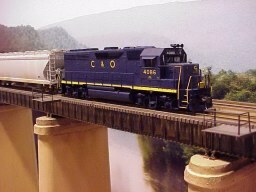 A local with a C&O GP40 on the head end crosses Magnolia Bridge.